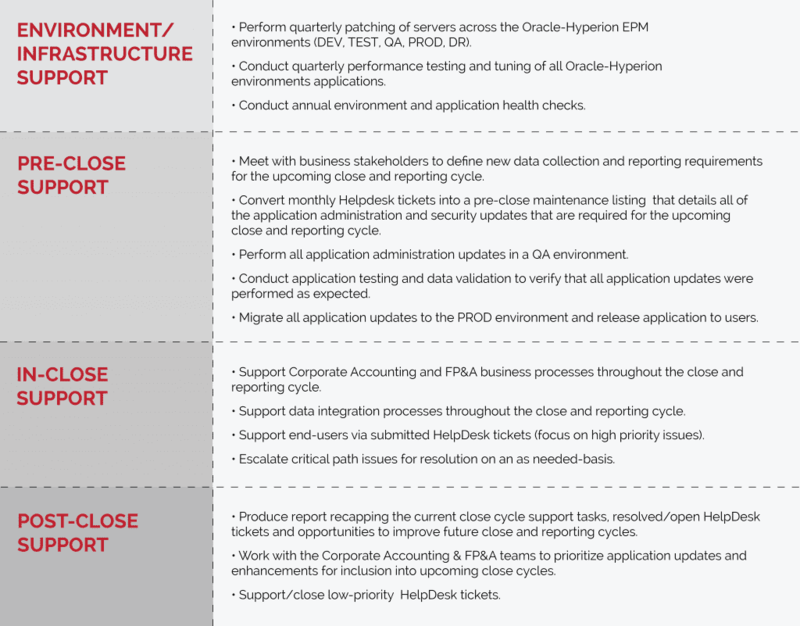 Searching for talented resources to maintain your Oracle-Hyperion EPM environments and applications can be a tedious and expensive endeavor, let alone retaining those resources and training them on the latest iterations of the software. By looking to SC&H and leveraging our team-based approach to providing qualified and certified Oracle-Hyperion consultants to manage your infrastructure and applications, your organization will save money and receive better/faster results in the process. Over the course of our 19+ years specializing in designing, implementing and deploying Oracle-Hyperion solutions to fortune 500 clients, we have witnessed that traditional managed services resources can execute the points and clicks in an application, but cannot translate business requirements into working solutions. 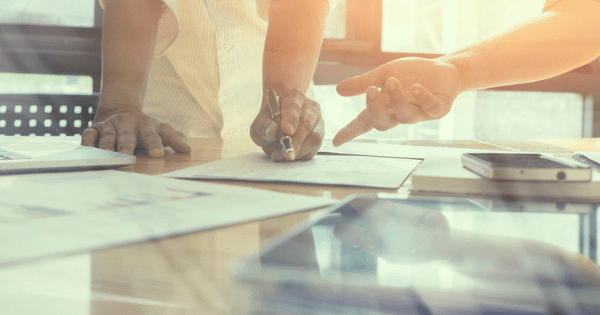 This results in stagnation within the accounting and finance organizations as new initiatives or application enhancements to support the businesses cannot be executed. We have also witnessed that typical managed services resources cannot effectively run application enhancement testing and migration cycles, due to a rotating door of resources and client assignments. SC&H employs a different methodology to support our clients, as we staff our engagements with full-time resources that are based in the Mid-Atlantic. Our resources have experience managing financial planning, reporting and close-cycles, as well as project implementation experience. They also have direct access to our entire team of Oracle EPM professionals that serve the SC&H client base. This allows us to employ and utilize a team-based approach to ensure that no issue goes unsolved, provide industry specific guidance/recommendations, and engage specialty resources when needed (infrastructure, etc.). Most importantly, we encourage that our direct contact with the client is within the CFO/CAO organization. We understand how critical application down-time or system related issues can be during a close cycle or major planning event, and by working directly with the accounting and finance teams, our resources can provide the best experience and service to ensure expectations are met and communicated appropriately to ensure your organizations time sensitive deadlines are achieved. This approach also allows our professionals to understand core business requirements and help translate them into enhancements within your existing Oracle-Hyperion application.